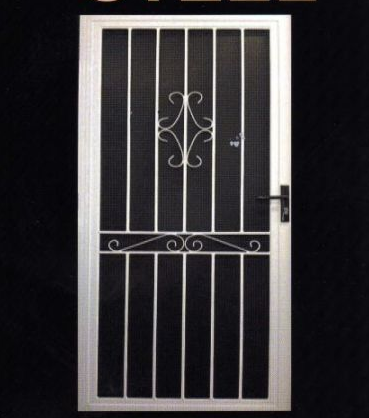 We supply and install a huge range of Steel doors. All our doors have an aluminium frames to prevent rusting and come complete with triple locks, 3 pin hinges and bugstrip. All metal parts are zinc plated and powder coated. Window grills have two tamper proof screws per corner. 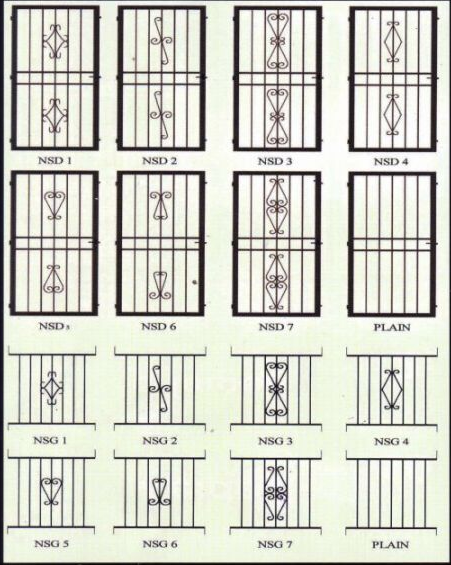 Hinged fire escapes also available.